There's a story by the Russian author Fyodor Sologub called The Petty Demon about a vindictive, paranoid man and a vindictive, paranoid town. The main character, Peredonov, is obsessed with achieving material success, no matter whose life he has to destroy to get there. About Peredonov, Sologub writes, "He didn’t like people, he never thought about them other than in connection with what benefits or pleasures he might derive from them." His hostile treatment of others is a reflection of his egoism, a trait that has emerged in our modern world's obsession with materialism. Is this not an accurate description of Vladimir Putin? Putin's recent ban on the messenger app Telegram is just the latest in a long list of assaults on online freedom and freedom of expression. As recently as 2014, Russia was ranked "partly free" on Freedom House's annual Freedom on the Net report. Since 2015, it has been ranked "not free." This devolution has come as more Russians gain access to the internet. In 2004, only 8% of Russians had access. As of December 2015, 70% had access. Powermongering, paranoid Putin won't let Russians have access to the real internet because people might be able to spread information about protests and ways to elect opposition leaders like Alexei Navalny. Democracy and freedom are Putin's petty demons. 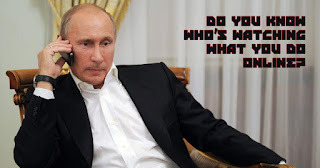 But - Russians can bypass Putin's censorship with SumRando encryption tools. 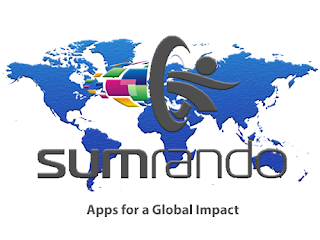 Replace your Telegram account with SumRando Messenger. Download SumRando VPN for Windows and Android to access blocked websites. Visit www.sumrando.com for more information. Last week, an article was published regarding VPNs and Proxies and potential vulnerabilities with WebRTC. We felt the article was somewhat misleading, and we want to take the opportunity to clarify what this all means and how it impacts you as a user of SumRando's products and services. WebRTC is an HTML5 specification that allows for real-time communication between browsers and devices without plugins or other widgets installed. It enables voice and video communication to work inside web pages. Many popular browsers (think FireFox and Chrome) already have WebRTC enabled. A web proxy server is a computer that sits between you and the internet, which reroutes your requests through our servers by way of the website on the browser. When you are using a web proxy, Internet traffic on that page is routed through the proxy server, making it look as if it came from the server's IP address instead of yours. This is isolated to only the webpage you are using, not the entire browser. VPN stands for virtual private network. VPNs provide a virtual version of a secure physical network, where the information you send over the Internet is encrypted and secured from others on the Internet. By running a VPN, an encrypted tunnel is established between your device and the VPN servers. Once the connection is established, all of your Internet activity (from browser to Skype to email) is pushed through this secure tunnel, through the VPN servers, and out to the Internet. The video on our VPN page - https://www.sumrando.com/vpn.aspx - explains the process as well. Great. Why are you telling me all this? The article that was originally published last week and has since circulated in the community indicated that some privacy services (VPNs and Proxies) may be vulnerable to WebRTC leaks. SumRando Web Proxy was identified on that list. Was my IP leaked when I used SumRando VPN? No. SumRando is designed to encrypt ALL traffic including WebRTC offering you the most anonymity and security possible when using a VPN service. Was my IP leaked when I used SumRando Web Proxy? Potentially, depending on the website(s) you visited. SumRando Web Proxy was released with the intention of circumventing geolocation blocking and for quick anonymous searches on the web. It was not designed to serve as a complete privacy and security solution. (That's why we encourage you to download and use SumRando VPN). Admittedly, we weren't clear on our website how the browser plays a big role in network communication and the risks related to WebRTC and other non-HTTP and HTTPS web traffic. I used SumRando Web Proxy. Can you tell me if I was specifically impacted by the leak? No. SumRando does not track SumRando Web Proxy activity. We have no insight into who visited what sites at any certain time. We highly recommend that you download and use SumRando VPN - https://www.sumrando.com/download.aspx. We have a free account option that provides you with 1GB of data per month. If you need more, you can easily upgrade to SumRando VPN Platinum, which gives you unlimited data and access to all of our VPN servers around the world. SumRando Web Proxy is temporarily unavailable while we work to determine is there are additional ways to reduce the impact of WebRTC. If you are concerned with WebRTC, it is possible to disable it directly in your browsers - https://www.privacyend.com/disable-webrtc-in-various-browsers/. This may degrade some performance of websites, but it will prevent other websites from obtaining more inforamation under the guise of WebRTC requests. As always, if you have any feedback, questions, or concerns, please reach out to us at support@sumrando.com.